Roboto is the latest typeface for Ice Cream Sandwich that is going to be in the all new Android smartphones. Roboto has been made from scratch by Android at Google exclusively keeping small screens in mind. Download the zip file from here. Copy it to the Root of your SD card. Reboot into ClockworkMod Recovery & Flash it using “Select zip from SD card”. Note that if you are downloading Roboto from elsewhere, there are some versions that are not working. The above version has been tested by us. 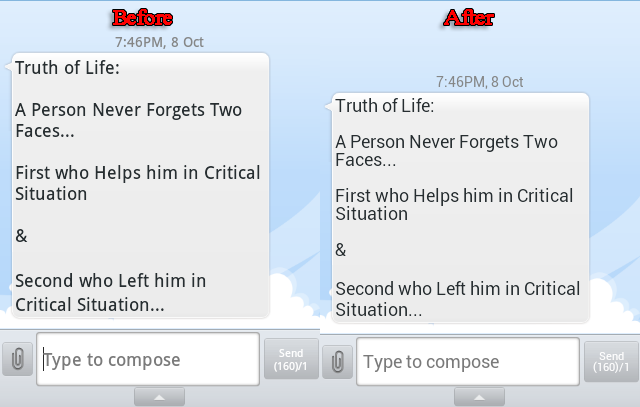 As you can see Roboto displays text better & Consumes less space for the same amount of thickness without loss in clarity. 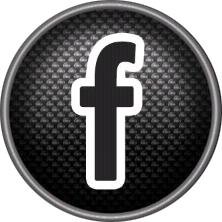 Download & extract the zip file from here. Install the APK you extracted. Make sure you have ‘Unknown sources‘ checked in Settings > Applications. Now go to Settings > Display > Font Style . Your recently downloaded font will show up here. Select whichever font you like. A prompt will offer to reboot. Select it & you’re done. Note that if you are downloading Roboto from elsewhere, there are some that are not working. The above version has been tested by us. Note: This tutorial applies to all Samsung Phones. Ever wondered why Samsung is the leader in the Android smartphone division? It’s because the little things that matter.All Samsung phones support direct installation of Custom Fonts without rooting. Yes! You heard us right. The little feature you might have stumbled across in settings menu exists in no other phones. No other company like Sony, Motorola, HTC etc. supports the same. 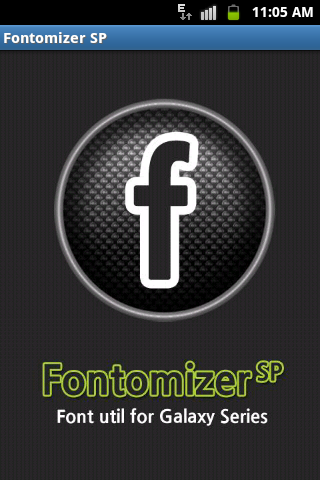 Simply download an app like Fonts for Galaxy SP (Fontomizer) from Android market. Check Unknown sources in Settings > Applications. 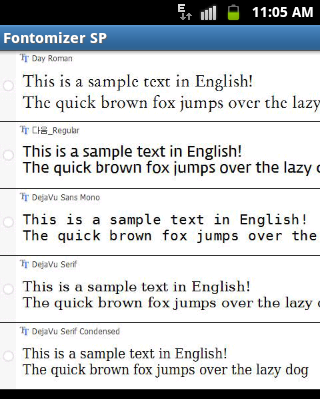 Select any font from the Fontomizer app. You will be directed to a download page. Download & Install it. Download an APK from internet or make one yourself (Tutorial Coming soon!) in Flipfont format. Install it on your Samsung phone. Make sure you have ‘Unknown sources‘ checked in Settings > Applications. 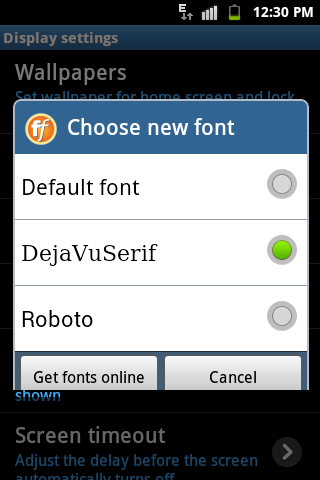 Here is the XDA thread where you can download lots of Flipfont Apk’s. So with the knowledge of exclusivity of this feature, didn’t become lucrative all of a sudden?